Talent Readiness – Make Your Vision a Reality! Article – Outplacement is an Investment! 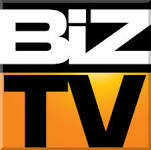 Texas Business Radio Interview: Sheryl Dawson on Talent Imperatives for Business Results! Talent Readiness… Make Your Vision a Reality! In every application across the talent cycle, the ROI for Harrison Assessments is excellent. Universal Weather & Aviation, Inc. Recently Human Capital Institute and Harrison Assessments conducted a webinar, Beyond Succession Planning. It shared information based on the 2014 Bersin by Deloitte Capital Trends Survey — 86% of companies do not have the necessary analytics to effectively manage talent. Yet these same organizations recognize the vital need to integrate career planning and succession planning to achieve their talent management (TM) objectives. Harrison Assessments has developed an integrated assessment, career and succession planning system to address each of these essential pillars for effective talent management. Make your vision for talent readiness a reality today. Request the 4 Pillars of Succession Planning Whitepaper or call 281 451 4244 and set a time to discuss how Dawson Consulting Group and Harrison Assessments can facilitate and accelerate achievement of your talent management goals. 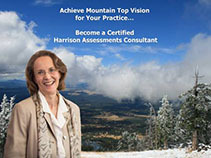 Dawson Consulting Group is a Harrison Assessments Solutions Partner for Texas and Arizona. SHRM Continuing Education Credits are rewarded at both levels of certification training: 16 credits for Level I and 20 credits for Level II. Having known and worked with Dawson Consulting Group since its formative years, I can personally attest to their consistency and quality of service for over 25 years. Their amazing resilience in the dynamic talent management and organizational consulting field is attributed to their vision, innovation, and ability to provide custom solutions to their clients. Compassionate, giving, supportive, responsive and easy to work with, Dawson places commitment to the client relationship first. In a word, you can count on excellence with Dawson Consulting Group!